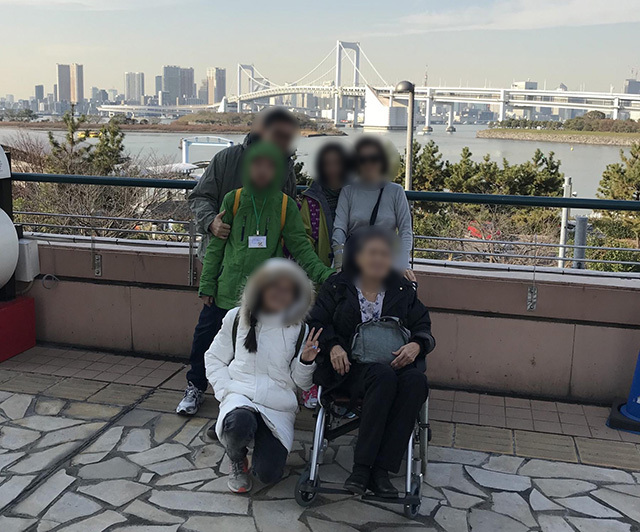 I, Planner Nao, had the great opportunity to give a Tokyo tour to a family of six from Singapore. 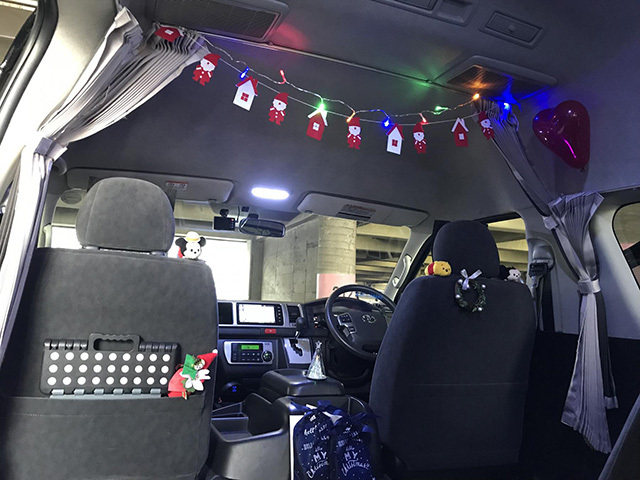 I have chosen a Toyota Hiace van for this tour. 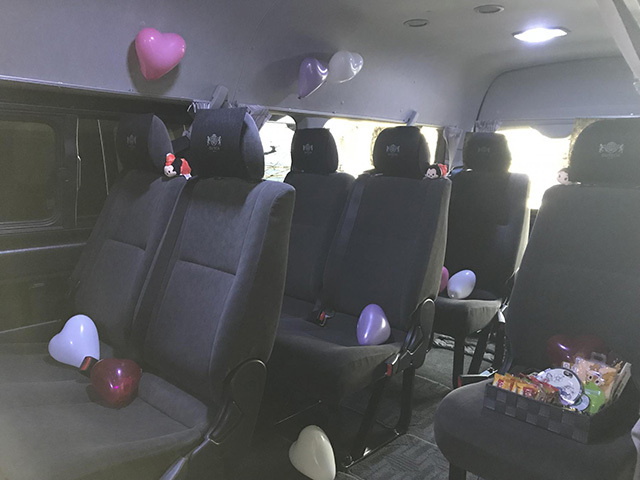 Before I went to pick my guests up, I prepared the interior decoration and hot tea in the van, which had been requested by my guests. Since their grandmother uses a wheelchair, I also supported her transportation during this tour. Our first destination of the day was at the world’s biggest fish market in Tsukiji. The wholesale facility has moved to Toyosu, however I took my guests to the Tsukiji Outer Market. My guests loved the Japanese rolled omelet “Tamagoyaki” that I recommended trying. I was glad to see my guests having fun taking photos and shopping there. Then we headed to Odaiba, a popular shopping and entertainment district on a man made island in Tokyo bay. We arrived there after crossing the landmark 798m long Rainbow Bridge. I handed my guests an English Odaiba map so they could walk around freely and enjoy some shopping. Lunch Time Next, we headed to a famous pancake restaurant from Hawaii, “Eggs n Things,” for lunch. My guests were excited to eat there. I assisted ordering for one of the guests who was allergic to dairy products. They had delicious pancakes and were very satisfied. Ride to hotel As our tour was getting close to the end, we decided to head back to the hotel. I could show my guests some of the beautiful views of Rainbow Bridge and Tokyo tower during the ride back to the hotel. My guests told me that they had chosen Outech after reading several reviews about us on TripAdvisor, and they were very satisfied about the day’s tour. I was grateful and thanked them at the end of the tour.